Focus, guidance, leadership, conditioning, and development are words that best describe what a good coach should be. 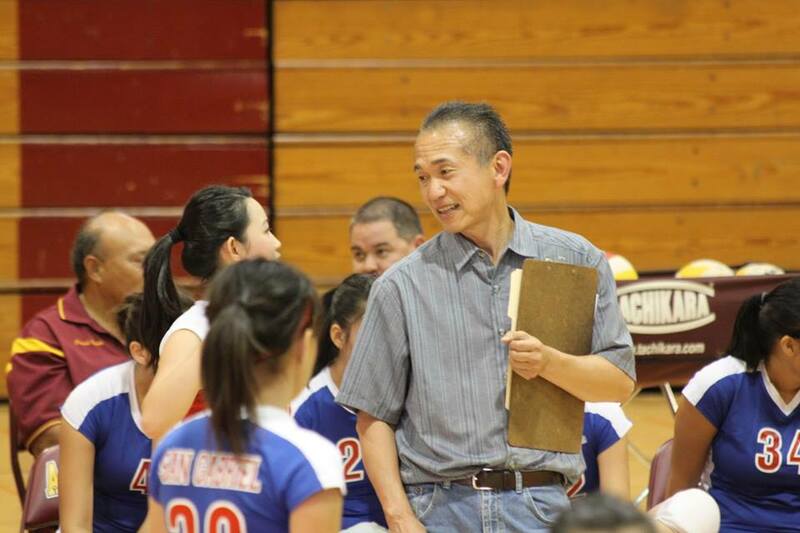 Larry Kanow, retired San Gabriel High School (SGHS) volleyball coach, shares his thoughts on how sports make an impact toward the students. Grand Canyon University’s head coach of the men’s ice hockey team, Daniel Roy, says that a good coach is capable of inspiring and allowing their players to grow into adults. SGHS co-ed swim varsity coach, Andre Flores, says that planning for the future and training like a championship team is effective for being a formidable coach. “For swim, a good coach knows how to condition their team as well as how to work with swimmers to their strengths rather than a cookie cutter method of training everyone the exact same way,” Flores said. Drawing from his own experience as an athlete, Flores enhances the quality of his coaching because he can emphasize with his swimmers’ struggles. Not only do coaches need the right attitude to be successful for themselves, they also need to provide the motivation that their athletes need to strive throughout the season. SGHS boys football varsity coach Kevin Encinas says that he faces the challenge of getting his players to believe that they are capable of great things. With good coaches, comes solid principles. Roy shares some rules that they as coaches set up for their players in order to create solutions for possible problems. Coming from a student athlete’s perspective, players do not necessarily favor a lenient coach. Junior Cynthia Abuede says that she prefers a coach that teaches principles not only in sports, but also outside of school. “[These principles] will help you in the long run, like how to participate with others, how to work even though you don’t want to work, how to push yourself individually,” Abuede said. Abuede also elaborates on how her previous volleyball coach, Kanow, benefitted her with that mindset. 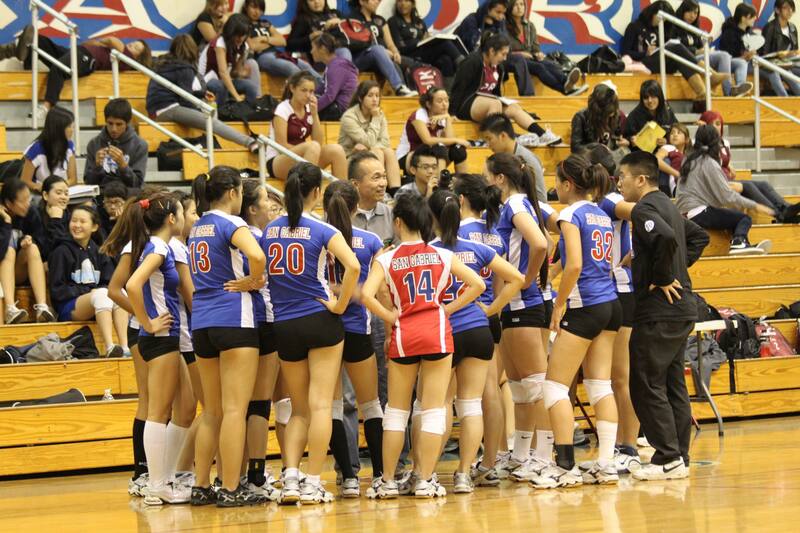 Throughout the year or season, a coach builds memorable bonds and improves the team’s chemistry. Along with this, senior Janelle Cabrera says that the ideal coach should show leadership, keep up with the student athlete’s academics, and reassure them to constantly work hard. Cabrera says she struggles to find that kind of offering from coaches due to the fact that she has had an inconsistent cycle of different coaches throughout her four years. SGHS has had multiple issues revolving around the coaches. Student-athletes have complained about the loss of their successful volleyball coaches or made complaints about being unreasonably disciplined by their coaches. Matthew Dultz, the Assistant Principal of Business and Activities, says that it is difficult to find quality coaches that have a combination of qualifications such as coaching experience, knowledge of the sport, and the commitment to run a quality program. 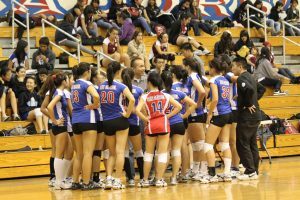 Abuede shares her opinion on how the coaching complications at SGHS have affected her, using her coaches, Kanow, Chris Kwan, and Lyle Honda as examples. In addition to the effort of the coaches and athletes, Kanow says that athletics programs must also have the backing of the school in order to thrive. “All the top high schools have well attended and consistent extra-curricular programs with support from the administration,” Kanow said. Abuede says that the problem is that the school does not “trust the process at times,” which is why they find themselves in a difficult situation with coaches. However, she expects to be more grateful for any coach they may get, knowing the difficulty in acquiring one. Despite the negativity against coaches, there are reasons as to why these coaches chose to do what they do. Roy explains how coaching can be both stressful yet very enjoyable at times. Likewise, Kanow says that coaching is very worthwhile and that its rewards outweigh the work and commitment that the job demands. “Coaching, advising, and teaching all have a lot in common in that you are privileged to work with passionate, hard working, and enthusiastic young people which is the trade-off for the pay and hours involved,” Kanow said. Overall, a good coach should require the skills to push players on their athletic abilities, show their true capabilities, build up their confidence or motivation, and most importantly, prepare them for life.